My team at work went to an afternoon baseball game this week. 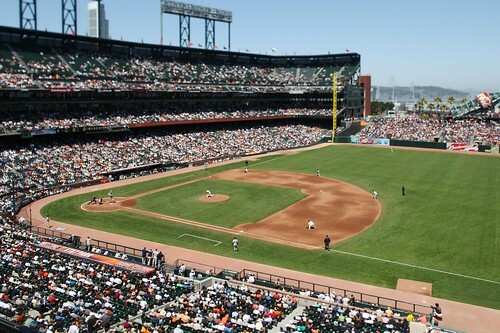 Courtesy of a generous donor, we had a box for the midday game between the San Francisco Giants and the San Diego Padres at AT&T Park. As an Englishman who didn't grow up with the sport, and recent drug scandals notwithstanding, I have a strong feeling for the romance of the game. Fifty years older than American football (yes, that's what Wikipedia calls it), and the subject of such wonderfully schmaltzy movies as Field Of Dreams, baseball seems somehow quintessentially American like no other sport. Spot the outlier? The guy who was born 50 years before any of the others? That's because baseball is special. Its history lends it a definite eminence—or at least in the eyes of this immigrant. Nonetheless, my own history with baseball doesn't go quite so deep. 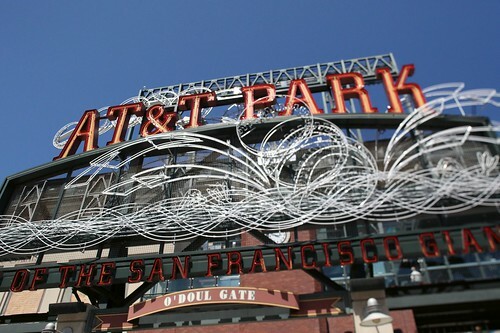 I went to a Yankees game in New York in 1998, maybe a dozen Rockies games while living in Denver 2003–2005, but until this week I'd never been to see the Giants play in San Francisco. 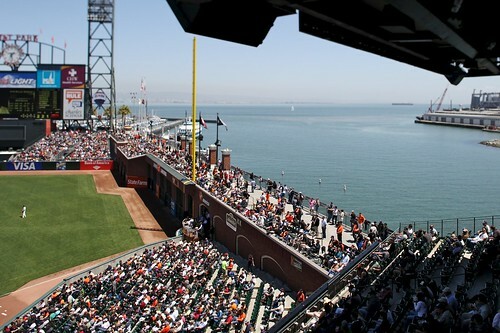 Thursday's work outing was a chance to see the AT&T Park at its best: a glorious sunny day and a close game. 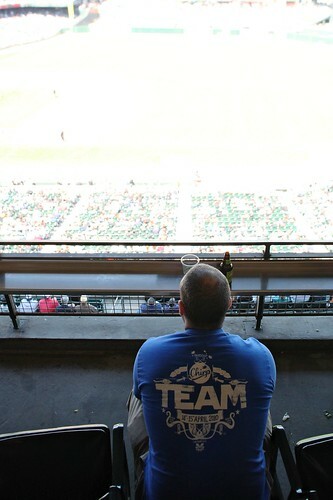 The Giants lost 0–1, but what a lovely way to spend a weekday afternoon.